This is a story of the early champions of crofters and tenants in their struggle against the lairds and landlords of the Highlands. Several key figures were closely associated with the parish of Resolis. The land reforms of Scotland owed much to the efforts of Bailie Thomas Nicol from Culbo, John Maclennan of the Mains of Resolis and the Murray brothers, grandchildren of Resolis schoolmaster, Donald Murray of Drumcudden. They are truly unsung Highland Heroes. The Black Isle, particularly its Parish of Resolis, took a leading role in the Land Reform movement of the late 1800s and early 1900s. Note that this is the first "Highland Land League" – I wish to avoid all modern political debate which might arise from the nationalist associations with the later Highland Land League. 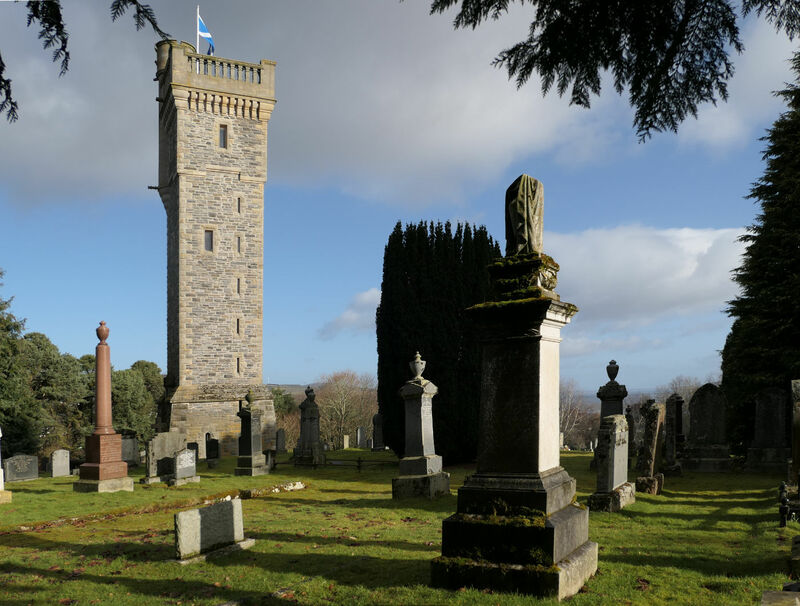 The memorial to Thomas Nicol stands on top of Mitchell Hill in Dingwall, close to the tower erected in honour of Major General Sir Hector Macdonald, another son of a Black Isle crofter. Photo:Jim Mackay. So who were the heroes? John Maclennan (1832-1892), the tenant farmer of Resolis Mains, was a national figure in crofting rights. The former farm manager of the Duke of Sutherland was the holder of a patent for a variant of the disc coulter that allowed the cultivation of muirground, a project he had been involved in on the Sutherland Estates. Maclennan was an indefatigable campaigner for tenants' rights. He became head of the Highland Land Law Reform Association for Ross and Cromarty. In1887, as a measure of his popularity, 259 crofters signed a petition in favour of his appointment as Assessor to the Crofters Commission. 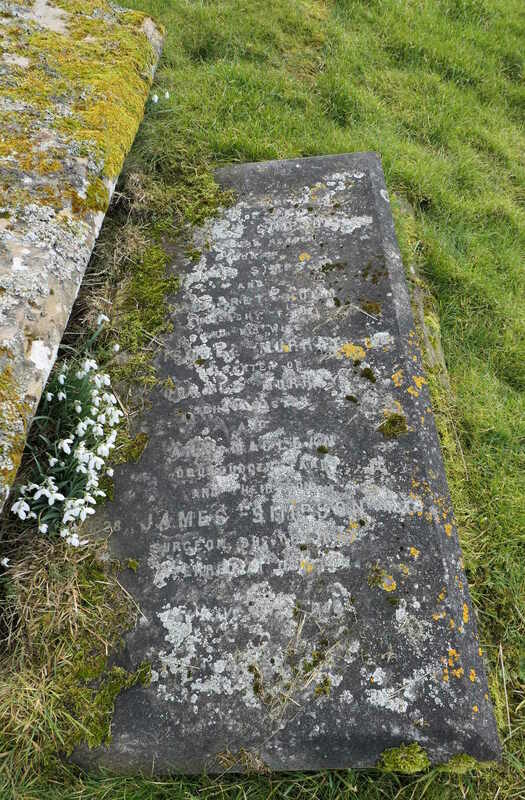 He died aged only 60 at Resolis Mains in 1892. Resolis Mains in the very early 1900s. Donald (1849-1912) and James (1850-1886) Murray, the grandsons of Resolis schoolmaster Donald Murray and his wife Ann Maclean, through their base in London fought unremittingly for the rights of Highland crofters. They contacted other Scots in London who were sympathetic to the plight of the Highlanders, with the result that the Highland Land Law Reform Association was created in 1885 with James as the secretary and Donald as a prominent committee member. James, the editor of "The Crofter Monthly", died in 1886, partly from exhaustion due to his campaigning. Five MPs were elected in 1885 on the platform of crofters' rights and associated themselves as the Crofters Party. Donald became secretary of the Highland Land Law Reform Association and, crucially, in 1886, became (I'm sure this would have been a planned strategy) the secretary of the National Liberal Club in London. 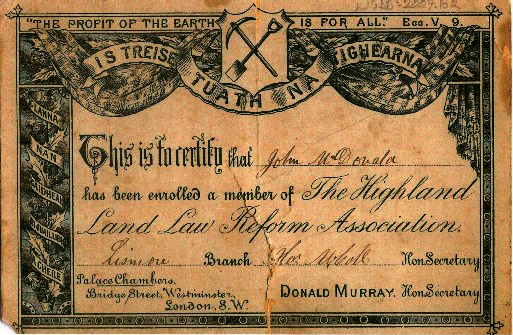 Through Donald's influence with prominent members of the Liberal Government, and the impact of gaining five Crofters Party MPs, the Highland Land Law Reform Association succeeded in getting the Crofters' Holdings (Scotland) Act 1886 passed. This increased tenure for crofters and established the first Crofters Commission, which had rent-fixing powers, and in turn rents were generally reduced and at least half of outstanding arrears were cancelled. The Highland Land Law Reform Association certificate carries a strong message. Certificate held by Lismore Gaelic Heritage Centre. The literal translation is "is stronger folk than lord", so indeed "the people (living on the land) are stronger than the lord (who "owns" it). Tuath is one of many words for "people" in Gaelic (and a very old one, used for ancestral races in legends as well), and is the one used mainly for "dwellers on the land", or in more modern parlance, peasantry, tenantry etc., so a very loaded choice, as well as an alliterative one. Tuath is the root of the word tuathanach, nowadays used for "farmer" but in fact it's anyone who lived and worked on the land. The Biblical quote about the fruits of the earth is complementary to it, but not quite the same meaning or focus. It was more a principle, that no one could own the land, let alone buy and sell it and clear the inhabitants working it. The "stronger" element I would say has as much a moral or legal aspect as a power one. The people have a stronger right to the land than an absentee landlord. There was nobody more dedicated to land reform than Thomas Nicol (1847-1899) of Dingwall, who had grown up on the small croft of Wester Culbo in the heights of Resolis. Like myself a descendant of the Nicol family of the Gooseburn in the parish of Avoch, he had developed from personal experiences on the family croft a long-standing hatred of the dominating power of landlords. 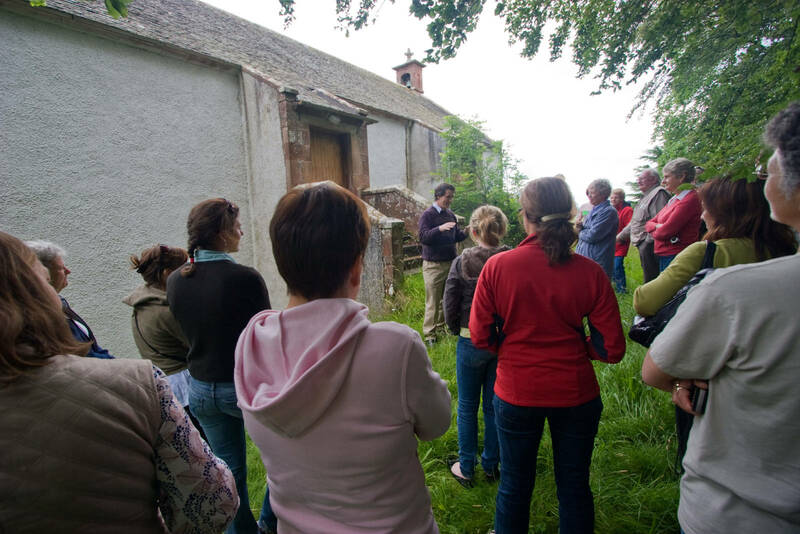 Thomas Nicol was everywhere, establishing and organising local groups, attending local meetings, boosting support for the crofters' movement at every opportunity. His companion in arms was Dingwall solicitor and future Provost, John Macrae. He was from Achterneed although his wife, the sister of Thomas Nicol's wife, was from Resolis. John Macrae appears in countless cases giving legal support to crofters at court. But it was Thomas Nicol who was the organising force in Ross and Cromarty. In those days Resolis had a national presence. Several cases of apparent travesties of justice from Resolis were being reported in the House of Commons, including those involving tenants in Alness Ferry, Upperwood and Ferryton. It didn't matter if the laird was legally in the right; the cases kept being drawn to the nation's attention, presumably to keep the issue high in the political agenda and to underline that even where the landlord was lawfully entitled to evict tenants, there was an imbalance of moral and social rights. In reality, the Resolis lairds were mostly well-intentioned, socially responsible men for the time, but they were slow to adjust to the emerging principles of tenants' rights. Reading the cases in which they were involved you feel at times sorry for them when they simply could not recognise that "the times they are a'changin'." They walked into the traps set for them. The more they protested they were legally entitled to throw tenants out of their homes because they weren't paying their rent, the more they fed the campaign for lower rents and increased tenants' security. Here is a report of a typical meeting in Resolis in December 1884 where grievances were aired (The Aberdeen Journal 19th December 1884). The reference to the Channel Fleet was to the deployment at the time of the fleet along the coast of Skye in response to crofter action. You can see all the players at this meeting. John Maclennan was the chair, and: "Mr Nicol, Dingwall, said they must not expect too much from the present Liberal Government, as it was mainly a government of landlords. Mr Macrae, solicitor, Dingwall, after an able speech, urged the importance of starting an association for ploughmen." THE NO-RENT MOVEMENT IN THE NORTH OF SCOTLAND.– The no-rent movement in the Resolis district of the Black Isle, Ross-shire, shows no signs of cessation, especially among the crofters on the estate of Newhall. There the tenants have declined to make payment of the last year's rent unless they receive an abatement of thirty per cent. The factor, Mr. Taylor, has again visited the district to collect the rents still unpaid, but it is understood to have received little encouragement. It is now reported, however, that unless a settlement is made before long, measures will be adopted to enforce payment from all those who have not paid the rents due at Martinmas last. In later years, the no-rent movement and demonstrations resulted in imprisonment and use of troops in some parts of the Highlands. How had all this activity come about? Donald and James Murray in London, as organisers of the London Highland Land Law Reform Association, were looking for local folk to carry forward the land reform principles locally. In Ross and Cromarty, they found support in Thomas Nicol and John Macrae, shopkeeper and solicitor in Dingwall, both with crofting backgrounds. The first meeting of the Highland Land Law Reform Association was held at Dingwall on the 18th October, 1883, when a constitution was approved. Now to raise the crofters! Thomas Nicol had form. He had already published at the end of the 1870s, anonymously, a highly successful pamphlet "The Bible on the Land Question." This pamphlet attracted wide attention in the national papers, identifying a spiritual link of the people to the land, a God-given right of the people to the land, and the writing of it was attributed to various politicians and social leaders, before it emerged that the author was Thomas Nicol, Black Isle crofter's son and shopkeeper in Dingwall. He never gave up arguing for land reform. It was not easy – this is from Thomas Nicol's obituary in the Ross-shire: "Here in Dingwall his efforts were not appreciated at the time, and, indeed, so high did feeling run, and so unpopular in the burgh was the Land League cause, that deceased found it necessary, as he often afterwards told, with not a little pride perhaps, to seek police protection and take refuge elsewhere." An early review of the life of Thomas Nicol in the Dundee Evening Telegraph of 1894 sets out the background to his zeal. To ex-Bailie Nicol, Dingwall, probably more than to any other public man in Ross-shire the land reform movement in the Palatine County owed much of the success … In his early days, while assisting his father in working his croft and in reclaiming the land, he received his first experience of landlord oppression. Year by year as they succeeded in taking in fresh patches of ground additional rents were imposed, and in the end the struggle for existence on the land had to be abandoned by the industrious old man. While quite young, Mr Nicol soon established a successful business in Dingwall, but his mind never reverted from what he considered to be the urgent necessity of land law reform. At this period Mr John Murdoch was engaged in his apparently hopeless task of arousing his countrymen to a sense of their wrongs in the columns of the Highlander. 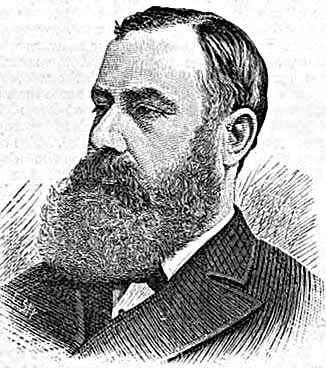 … Mr Nicol essayed the same task in a remarkable pamphlet which he published in 1878, entitled "The Bible on the Land Question," which attracted considerable attention in the Highlands and Lowlands. The authorship of the brochure was at first attributed to the late Rev Dr Kennedy, and it was not until some time had elapsed that the real writer became known. Mr Nicol was mercilessly "chaffed" on what was held to be his chimerical views on the land question. By some he was deemed a fanatic, while others held him to be a "well-meaning" man, but far in advance of the age. Events, however, were beginning to move rapidly, and in less than a decade afterwards the "chimerical" views of Mr Nicol had been engrossed on the statute book. When the land agitation in the Highlands commenced, Mr Nicol and Mr John Macrae, solicitor, organised the Ross-shire Associations, and through their united efforts, assisted by other reformers, branches were established throughout the county." 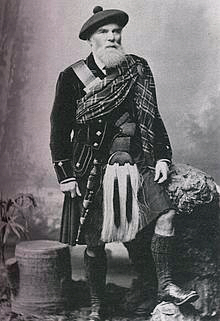 Editor of the campaigning Highlander, John Murdoch. Source: Wikipedia. The MP Dr Roderick Macdonald, elected through the efforts of Thomas Nicol and the Highland Land Law Reform Association. In Resolis, the signs had been there for some time. The elections for the School Boards, here and across the north, had turned into a challenge to the lairds. It was one of few avenues for protesters to demonstrate how they felt. Known land reform supporters and Free Church ministers stood in opposition to the lairds and the ministers of the Established Church who usually dominated these boards. 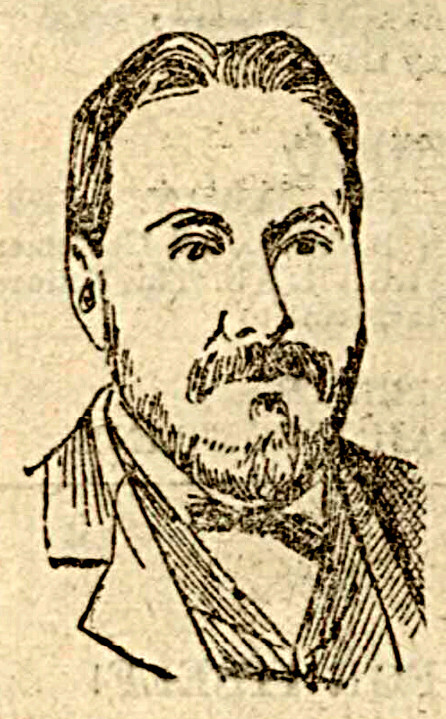 In 1880, for instance, the papers reported an astonishing voting reversal for Resolis: "There were six candidates for the five seats:– Successful– Rev. Mr M'Iver, F.C., 125; Mr John Maclennan Mains of Resolis, 117; Mr Thomson, Resolis, 96; Mr Campbell, merchant, Jemimaville, 80; Mr Shaw Mackenzie of Newhall, 62. Unsuccessful– Captain Lyon Mackenzie of Braelangwell, 53." These School Board elections were symptomatic of how the landlord-tenant relationship was changing. Mr Shaw-Mackenzie, the Laird of Newhall, granted land for the new Education Act school at Newhall on the unwritten agreement that the land he had previously granted for a new school at Newmills would be returned to him. There was nothing on paper, the laird no doubt never thinking that he would be challenged. In 1883 the School Board uncharitably took him to the Court of Session and won ownership of the school land. Such an action would have been unheard of ten years earlier. John Maclennan of Resolis Mains held the land adjacent to the old school at Newmills. The minister of the Established Church, the Reverend Robert Macdougall, a merciless chastiser of the Land League through the correspondence columns of the local papers, had been granted a tenancy of the Newmills site by the laird, and he and Maclennan fell out over farm access through the land at Newmills. There were words and letters, and in 1881 Macdougall sued Maclennan in the Court of Session for £1,000 for calling him a "a liar," a "proven liar," the "biggest liar in Scotland," and "the d––––est liar in Great Britain." As a counter-claim, Maclennan sued Macdougall for £1,000 for writing a letter to the local policeman accusing him of setting fire to properties in the area. Feelings between the old and new orders were clearly extreme! There were those like Reverend Macdougall who pointed out how unrepresentative the leaders actually were: John Maclennan, champion of "land for the landless" was a sizeable tenant farmer (of 190 acres) and one of his keenest supporters, John Holm of Wester Ferryton, had swallowed up several small tenant farms himself. But this did not dampen the enthusiasm of the small tenants in their battle to win rights and a reduction in rents. Meanwhile, on the national scene, the campaigners for the rights of tenants were seeking political representation, and fielded several candidates for the 1885 election. Thus in Ross and Cromarty the young Munro laird of Novar found himself being challenged by the land reformers' man, Dr John Macdonald. The crofters' candidate was not a strong presence or a vigorous debater, but his campaign was vigorously supported by the dynamic Thomas Nicol. Years of work had been in the preparation, and it all came to a climax. "For three days prior to the election Mr Nicol neither slept nor halted. One day saw him on the West Coast and in the Lews perfecting the branch organisations there. From there he hurried on a similar errand to the Black Isle and other districts. 'I am satisfied, ' he said to a Dingwall sympathiser, 'that we should have a majority of 2000, but after making all allowance for clerical and landlord influence we should certainly obtain 1500 more than our opponents. ' The result more than fulfilled the hopes of the land reformers, as Dr Macdonald polled more than double the number of votes recorded for Novar." The county town of Dingwall was violently against the land reformers. Presumably the townspeople had little interest in the injustices associated with the countryside surrounding them. They had been critical of Bailie Nicol's views but were infuriated by his support for Dr John Macdonald. The result of the 1885 election was received with intense excitement in Dingwall, where the townspeople were all but unanimous in their antagonism to Dr Macdonald. An angry and disappointed crowd sought to wreak their vengeance on Mr Nicol, but that astute gentleman had wisely shut up his premises, and betaken himself to a place of safety. The excitement in the town was in no way lessened when it became known that a body of crofters, 500 strong, were on their way from the Black Isle TO MAINTAIN "LAW AND ORDER" within the Royal burgh. "Preparations" were at once made for the reception of the crofter army, and a sentinel was posted on the railway bridge to give timely notice of their approach. Mr Munro, the late Chief Constable, seeing what the inevitable consequences would be, hurried on horseback to intercept the crofters. He succeeded in persuading their leaders to return, assuring them that the additional police drafted into the town were quite capable of maintaining the peace. Mr Nicol meanwhile had escaped to Alness, Dr Macdonald's headquarters, where he spent the night. From the railway bridge towards the Black Isle. Photo: Jim Mackay. The railway bridge, close to which an important battle is regularly fought nowadays during the football season, was not the ideal location to look out across to the Black Isle and spot movement of troops towards the crossing at Conon Bridge, but I suppose it did have the benefit of being close to the High Street. There would have been some fracas if 500 crofters and agricultural labourers had run riot in Dingwall. Fifty years earlier, 200 Resolis parishioners had stormed the prison in Cromarty to rescue one of the rioters incarcerated after the induction battle at Resolis in 1843. A Black Isle army of 500 loose in a hostile Dingwall would have been some stromash. By the following day tempers had cooled, and Thomas Nicol returned to Dingwall and suffered "no molestation further than a volley of hisses which greeted him on the way from the Railway Station to his business premises." This was the high point of the Highland Land Law Reform Association, or Highland Land League as it was popularly known. In the 1885 election they secured five seats (Argyll, Inverness-shire, Ross and Cromarty, Caithness, and the Wick Burghs) creating the "Crofters Party". With the Crofters Act and the Crofters Commission there was real change. 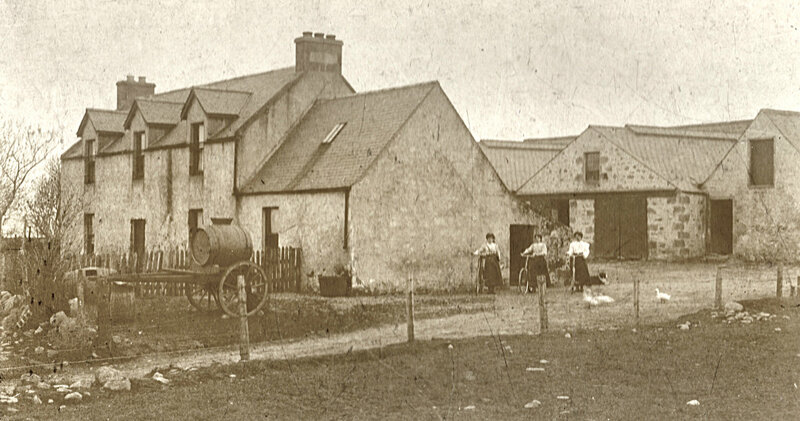 John Maclennan returned to the Sutherland Estates briefly in 1886, where he had once been farm manager, but this time to speak to the Crofters Commission on behalf of the tenants to reduce their rents! It would appear that he was a great speaker. Dingwall was the capital of Ross-shire but he had always looked upon Culbokie as The Capital of the Black Isle – (applause) – and he had no doubt, from its healthy situation, Culbokie was bound to grow and develop. (Applause.) He had been accustomed to live in high places. (Laughter.) 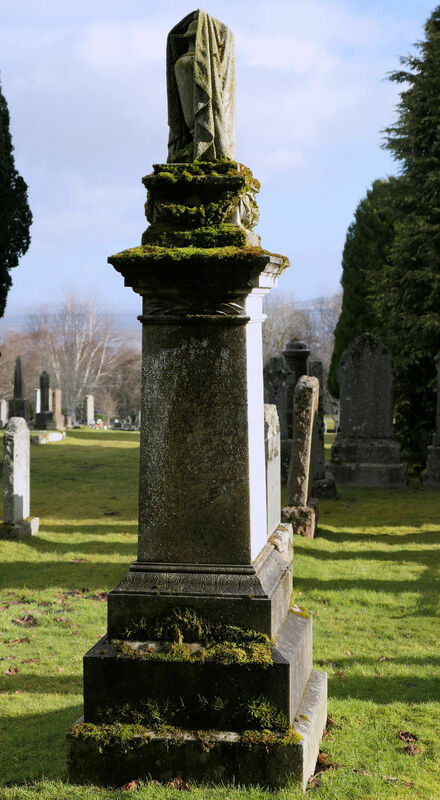 He had lived in a higher place than Culbokie – he had lived at Culbo – and they in Dingwall who lay on a low level, in more senses than one perhaps, would like to have a place like Culbokie where they could spend a little time to recruit their health. On Saturday morning a meeting of the inhabitants of the parishes of Cromarty and Resolis was held in the Poyntzfield Arms Inns, Jamimaville, to protest against the unjust eviction, from Upperwood farm, of Simon and Thomas Fraser, at present tenants there. There was a good attendance of parties from the surrounding districts. 1. That a copy of this statement of facts relative to the holding of Messrs Simon and Thomas Fraser, Upperwood Farm, Poyntzfield, be sent to George M.G. Munro, Esq. of Poyntzfield, and trust that he will take these facts into his favourable consideration, and thus lead to an amicable arrangement of the differences that now exist between them. 2. That this meeting strongly urges the necessity for Cromarty parish being declared a crofting parish under the Crofters Act. 4, that copies of these resolutions be sent to the Prime Minister, Mr Gladstone, Mr Chamberlain, M.P. ; Lord Lothian, Secretary for Scotland; and the Highland member of Parliament. Bailie T. Nicol, Dingwall, who has taken a prominent part in the land movement in the north, in speaking to one of the resolutions, advocated in strenuous terms a wide expansion of the legislation as to land, so that even large farmers would get the benefit. In Ireland there was no distinction, and he did not why there should be such in Scotland. He also thought that villagers should have allotments where required, and the ploughmen should have land for their own use, paying, of course the same rent the farmer had to pay. After a few words from Mr C. Ferguson, Resolis, as to the necessity for the fishermen of Cromarty enjoying the benefits of the Crofters Act, the meeting separate with a vote of thanks to Mr Maclennan for presiding. Despite the renewed efforts, there was nationally at this time a shift in the political climate: the Liberal Party appeared to take up Land League objectives and the Land League underwent political realignment which did not sit well with many of its supporters, and its presence fragmented. Many of the old organisers like Thomas Nicol and John Maclennan left in disgust. William Gladstone's Liberal government fell from power and the new Conservative government was much less sympathetic to the plight of crofters and much more willing to use police and troops to quell protests. This was a dark period in the land struggle. However, those heady days of the 1880s had resulted in long-term gains for the crofters, and paved the way for later improvements. The funeral cortege will leave Resolis Mains at ten o'clock forenoon, passing on foot, through the village of Conon at 12.30, and reaching Garve, via Brahan and Contin, at 2.30 o'clock. It is anticipated that the funeral will be a large and representative one. The funeral was attended by a large concourse of people from the Lochs district, and as the procession made its way from Keose to Stornoway, the various townships in the district contributed their quota of mourners, who accompanied the procession nearly all the way to Stornoway, a distance of some nine miles. At 2pm the procession was met at the Porter's Lodge by a considerable assemblage of townspeople, who accompanied the remains to the cemetery. 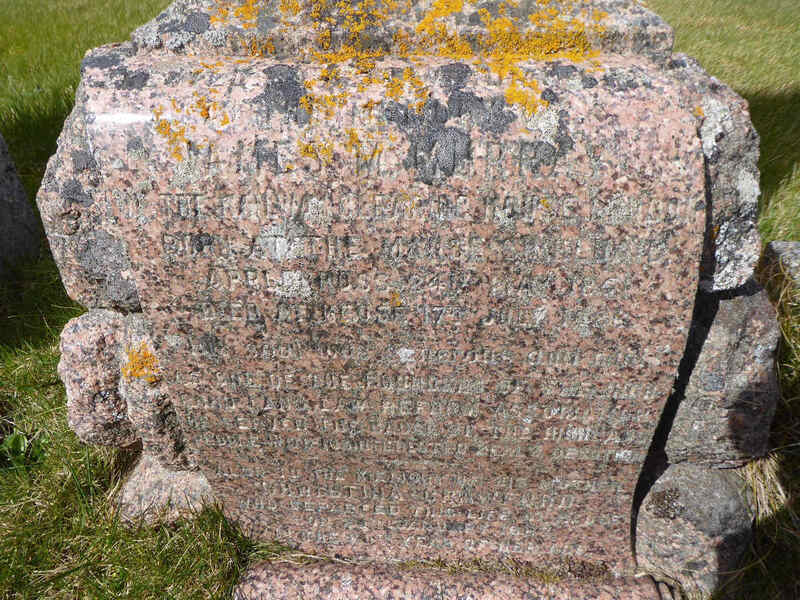 The red granite headstone in Sandwick cemetery – kindly photographed for me by distinguished local photographer John Dyer. 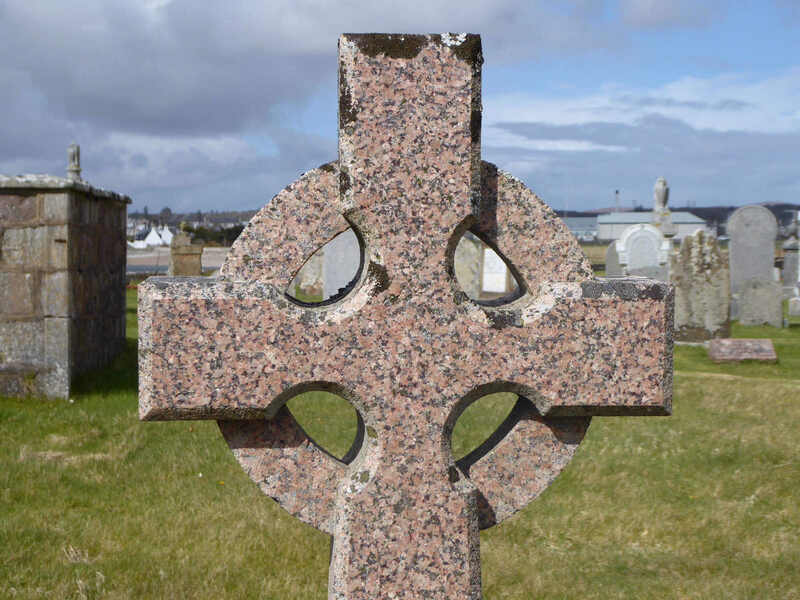 The headstone is appropriately topped with a beautiful Celtic cross. Brother Donald was buried in Lady Well Cemetery in London, the funeral again attended by many people, including Peers, Baronets and Members of Parliament. There is no stone to their Resolis grandfather, but he and his wife are mentioned on their daughter's memorial in Cullicudden. And ex-Bailie Thomas Nicol, following a similarly populous funeral, was buried in Mitchell Hill cemetery above Dingwall. 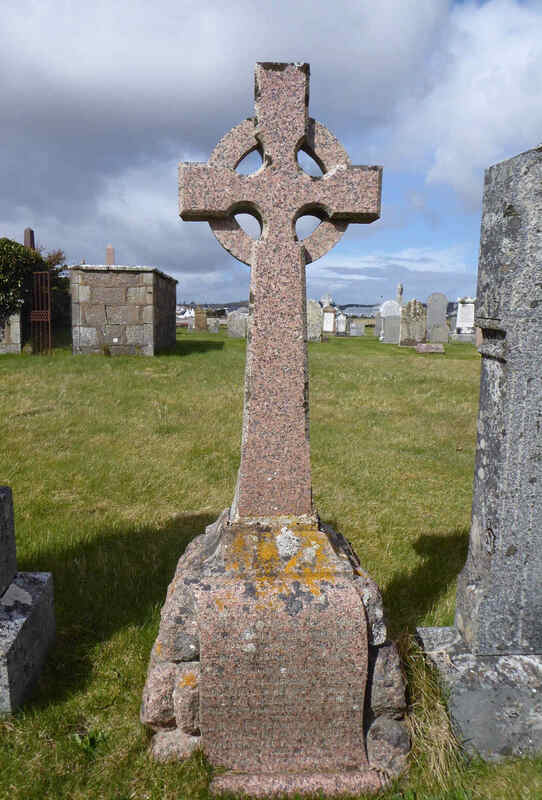 Whether by design or accident, the location of his grave is perfectly located to look across the head of the Cromarty Firth to the farming home of his youth at Culbo in Resolis. John Macdonald's headstone in Garve. Photo: Jim Mackay. 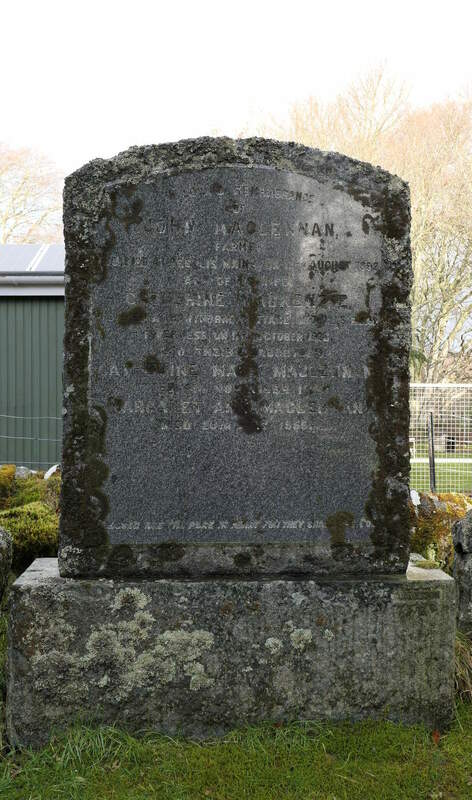 Slab in Cullicudden graveyard naming both Donald Murray schoolmaster and Ann Maclean his wife in Drumcudden Farm. Photo: Jim Mackay. Eviction of a Crofter at Resolis. – In the House of Commons on Tuesday, Mr Weir asked the Secretary for Scotland whether his attention had been called to the fact that Charles Hodson Shaw Mackenzie of Newhall House, had obtained a warrant for the eviction of Donald Maciver, a crofter on Mr Mackenzie's estate at Ferrytown, Balblair; that Donald Maciver was a tenant holding under a lease which expired in 1890, and since that time had been a yearly tenant at a rental of £4 4s, and that no arrears of rent were due; and whether any steps could be taken to prevent this and similar evictions in the crofting counties pending the passing into law of the Crofters' Act Amendment Bill? Sir George Trevelyan – I understand Mr Donald Maciver's father, Roderick Maciver, held the croft at Ferrytown, Balblair, from 1871, or earlier, till 1882, when he died, that Donald Maciver took up the holding in 1884, on his return from America, and occupied it under a lease which expired in 1890, since which time he had neither renewed it nor paid his rent, and is now three years in arrears, in consequence of which legal proceedings have been taken. I do not contemplate taking any steps of the nature referred to by the hon. member pending the passing of the Crofters' Act (1886) Amendment Bill. An Alness Ferry Crofter's Complaint.– In the House of Commons on Wednesday Mr Annan Bryce asked the Secretary of Scotland whether he was aware that the late Mr Kenneth Cameron, after having been tenant for 38 years of a croft on the Newhall estate of Mr Shaw Mackenzie at Alness Ferry, Ross-shire, received notice to quit next Whitsunday on the ground of his advanced age; that a similar notice had, since his death, been given to his sons; that Mr Cameron, without any assistance from his landlord, reclaimed the whole of the farm from the moor, drained it, fenced it, and erected all the buildings upon it, and that he and his sons offered to pay nearly quadruple the existing rent; and whether he would consider the desirability of introducing into the Small Landholders (Scotland) Bill a clause providing a remedy in cases of this kind. Mr Sinclair – I have no information in regard to this case other than that now furnished by my hon. friend's question. The facts, as stated, present a very hard case; and I regret that, so far, it has not seemed possible to provide protection for such cases in the Small Landholders (Scotland) Bill. The strange thing about these cases is that the Resolis lairds were, according to their own lights, being kind to their tenants. Many of these crofters had left their native glens through destitution or force, and were welcomed into a new home in the Black Isle by the improving lairds. And in some of these cases what was being reported to the House of Commons was definitely exaggerated. But it was undeniably true that by this time rents were high and returns were low, and it was cruel to evict families who were already deep in debt. A few years of bad harvests and there was no security of tenure. We owe an enormous debt to the Highland Heroes who fought successfully to improve the rights of those who lived on the land. The Murray genealogies provided in the Fasti and newspaper articles, and even the entries in Census returns and civil certificates, are riddled with errors and hopefully these notes will help to set the record straight. Section of the Murray slab in Cullicudden. Photo: Jim Mackay. The which day the Session being met & constituted by prayer Sederunt with the Moderator Robert Murray, James Thomson, David Murray & Thomas Munro Elders. The session felt it to be their duty to furnish the people with the means of education, both secular and religious. At the place of Drumcudden, in the west-end of the parish of Resolis, a school had existed many years previous to my settlement. The teacher was Donald Murray, an old man, and the school, like himself, was for years verging into decrepitude. The people, dissatisfied with his mode of teaching, withdrew their children one after another from his school, until the attendance was at last a nullity. The people of the district asked Murray to resign. This he refused to do without some show of reason; for, whilst the people insisted that he should give up the school-buildings, they made no proposals as to where the poor man should go to shelter himself. After discussion, it was ultimately resolved that the school-buildings should be left in Murray's possession, and that new buildings should be erected for the accommodation of a new teacher and the scholars. This arrangement was unanimously agreed to at a meeting held for the purpose; a new site was given and measured out, 200 feet in length and 70 in breadth, sufficient in point of extent, not only for the site of the buildings, but also for a small garden for the schoolmaster. The session undertook to forward the buildings without delay, as well as to collect funds to defray the expenses, all of which was done in the course of three years afterwards. The expenses amounted in all to £48 13s. 1½d., wholly cleared off. / The next and more important part of the undertaking was to get a teacher. We do have several most interesting snippets of testimony from Donald Murray himself, which reveals he was born about 1761 in Kinbeachie. The first of these is from evidence given in the case to break up the commonty of Mulbuie, itself an infamous action against the people of the Black Isle, who used the commons for grazing of their cattle, as a source of fuel, and for thatching and building material for their homes. 11 Sep 1816 DONALD MURRAY, schoolmaster at Drumcudden, aged 55 years, who being solemnly sworn, &c. depones, That he has known the estate of Newhall from his infancy, as consisting not only of the proper estate of Newhall, formerly belonging to Mr Lockhart, but also of those parts of the estate of Braelangwell acquired by the claimant from Mr Urquhart's creditors, which was one estate called Newhall, while the Gordons were proprietors thereof; and that the tenants of the whole of the farms, and the ferriers of Inverbreaky, frequented the great commonty, both to the east and west as far as they pleased without interruption, some by pasturing their cattle, and others by cutting turf and divot. All which is truth, &c.
DONALD MURRAY, a witness examined yesterday, who being again solemnly sworn, &c. depones, That he was born at Kinbeachy, and has known it all his life, and that the proprietor and tenants of the estate of Kinbeachy have uniformly gone to the commonty libelled for firing and turf, and that the part of the commonty which they went to was as far as the Black Moss, otherwise called the moss of Avoch, and never heard of their being interrupted. Being interrogated by Sir Alexander Mackenzie, What is the northern boundary of the Milbuy in his opinion? depones, That he cannot tell. All which is truth, &c. And further depones, That the lands of Kinbeachy don't touch the common, being excluded by the lands of Culbo and Woodhead. DONALD MURRAY, a witness examined this day, and who being reminded by the commissioner to consider himself as still upon oath, depones, That he has known the place of Woodhead since his infancy; concurs with the preceding witness as to the fact of the tenants of Woodhead frequenting the Milbuy for firing and turf, and pasturing their cattle there without interruption. All which is truth, &c.
The Nicol family is well researched, and I direct you to Wendy Brindle's website for an accurate and thorough review. There are quite a few other Nicol websites with incorrect information not obtained from primary sources (that's the downside of the worldwide web), but Wendy's is sound. Rootsweb at time of writing is temporarily offline due to upgrading but I'm sure it will soon be back! Back in 1763 in the parish of Avoch David Nicol married Janet Bremner. Their family, born at the Gooseburn just below Killen, moved on to other parishes within the Black Isle and emigrated across the world. 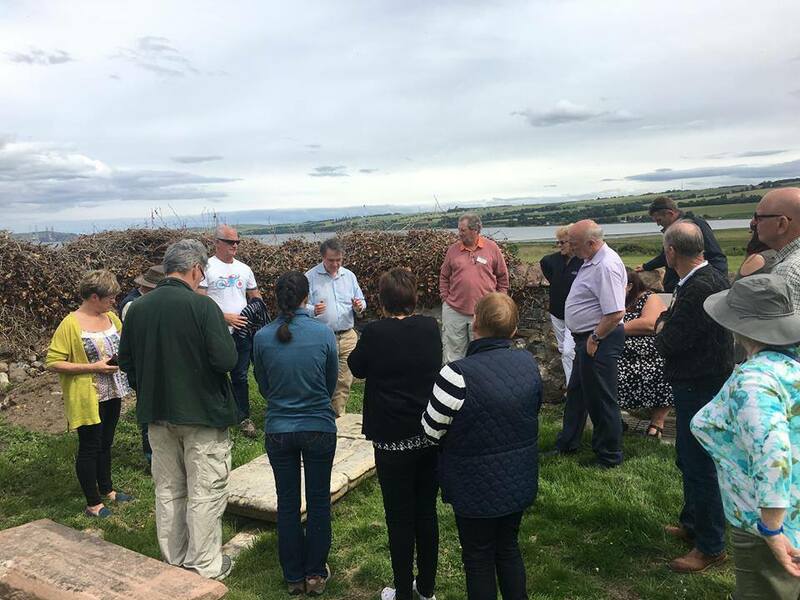 Twice now there have been gatherings of descendants of the couple, when many returned to visit the family crofts and homes and other Black Isle sites. Some of the Nicol/Bremner descendants at the closed Church of Scotland in Resolis in July 2007. Photo: Lawrence Nicoll. Some of the Nicol/Bremner descendants at Kirkmichael in July 2017. Photo: Lawrence Nicoll. My own great-great-grandmother was Cursty Nicol from Toberchurn, and in 2007 and 2017 I helped to guide the two-minibuses visiting Avoch Parish Church, Killen, the Clootie Well, Fortrose Cathedral, Groam House Museum, Rosemarkie Parish Church, Resolis Church of Scotland and Free Church, and Balguneerie. Oh, and the Plough Inn, purely for heritage reasons of course, as our forebears would have had a drink there. And including, naturally, Kirkmichael! The following few transcripts should tell their own story of how Thomas Nicol was descended from that Nicol family in the Gooseburn. Alexander Nicol, farmer, 84, born P. of Avoch, 5 years in P. of Resolis, parents David Nicol Farmer (D) & Janet Nicol m.s. Bremner (D), married to Margaret Forsyth (D), children: 1. William 60, 2. Christina 57, 3. Alexander 54, 4. John 50, 5. James 47, 6. Margaret 44, 7. Isabella 41, 8. Charles 39. 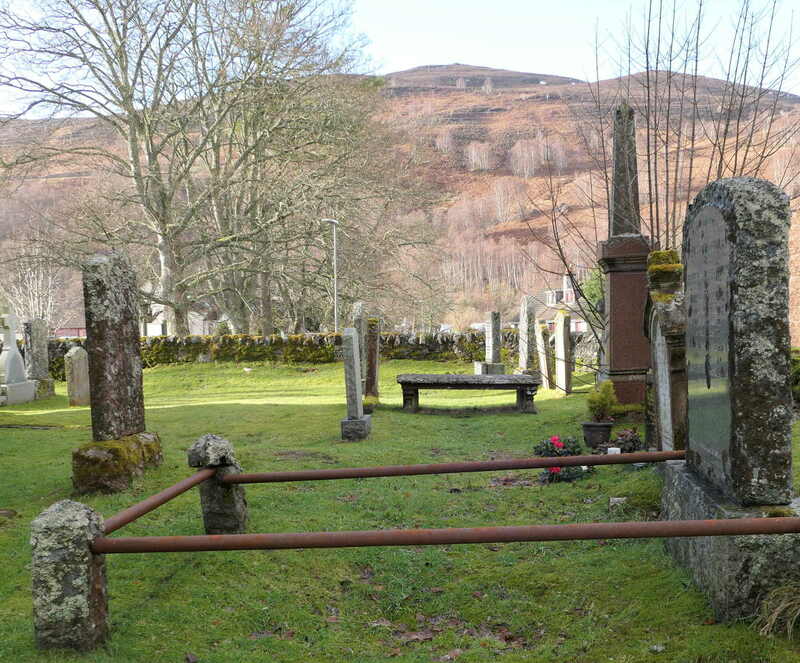 Died 10 Feb 1855 Toberchurn, Burial ground of Avoch, informant John Nicol son. John Maclennan came into Resolis Mains in 1874. He had been born in Corriemoillie in 1832 to John Maclennan and Mary McDonald. He married Catherine McKenzie in 1880, a crofter's daughter from Gairloch, and had three children – Catherine Mary, born in 1881, Margaret Ann, born in 1882, and John McKenzie, born in 1844. Given his interest in the breaking-in of uncultivated land, it is not surprising to find that he acted as Secretary for the farmers organising local ploughing matches. The Late Mr John Maclennan, Resolis Mains. It is our sad duty to-day to record the death of one of the best known and most respected of Ross-shire men, Mr John Maclennan, Resolis Mains, Invergordon. For some two months past Mr Maclennan has been indisposed, suffering from internal complications augmented by weakness of the heart. Naturally a robust man, his many friends hoped against hope that he would manage to throw off his trouble. But a week or two ago his illness assumed a more acute and dangerous form, and deceased breathed his last at five o'clock on Wednesday morning. The sad news of his death spread rapidly through the country and over the north generally, and created widespread and sincere regret, for Mr Maclennan was universally popular, and the fact that his death has taken place in the prime of his life has intensified that grief. Deceased was, every inch of him, an enthusiastic Highlander. He took the keenest interest in all that pertained to the welfare of Highlanders, both at home and abroad, and he was one of the pioneers of the Land Law Reform movement in the north. He held the deepest convictions regarding the urgent necessity there existed for liberal legislation on behalf of the crofters and others, and he threw into their cause all the enthusiasm of his warm and generous nature, and that to good effect. He spared no pains to instil vitality into the Ross and Cromarty Highland Land Law Reform Association. He worked hard to make it a power in the north, and ultimately became, for a time, its president. But, when that Association departed from its original traditions, and became a mere party organisation, he entered his protest against such a step. He strenuously upheld the lines followed by the Journal in reference to Highland legislation, and was strongly convinced that when our Highland members sacrificed their political independence they threw away their influence for good in the Highlands to an extent that has since become apparent to every observer. Indeed, the action of the Highland members met with his strong disapproval, and led to his severing his connection – along with many others – from the Irish-Highland Home Rule party. But this fact did not lessen his interest in the welfare of the crofting and labouring community. In Mr Maclennan they could always depend on having a staunch and unselfish friend. And it was to their advantage that, along with radical notions on land law reform, he coupled that practical experience, gained by him even previous to his entering on the lease of Resolis Mains, when he acted as the popular and painstaking manager to the Duke of Sutherland, at Dunrobin. With such a strong claim as he had on the sympathy of the crofting and agricultural classes generally, it was only natural that when the Crofter Commission was appointed a universal feeling should be expressed that he should become one of its officials. The crofters themselves signed petitions largely in favour of his appointment, and since the early months of 1879 he has been an Assessor, being generally attached to the Commissions presided over by Messrs Macintyre and Hossack. As an assessor his suggestions were invariably listened to with respect, and his practical knowledge was of the utmost service in the work the Commission had to perform. In his own parish of Resolis, as in all the districts around it, he will be much missed. He took the liveliest interest in all public matters, and was for a long series of years an invaluable member of the Resolis School Board, on which, for a considerable time, he acted as Chairman. Deceased, in private life, was one of the most generous of men and his intimate knowledge of all matters pertaining to the north made him a lively and informative companion. Mr Maclennan, who was only 59 years of age, leaves a wife and three young children to mourn his loss, and for them in their sore bereavement the utmost sympathy is felt and expressed. Deceased's remains are to be interred at Garve, of which place he was a native, on Saturday first. The funeral cortege will leave Resolis Mains at ten o'clock forenoon, passing on foot, through the village of Conon at 12.30, and reaching Garve, via Brahan and Contin, at 2.30 o'clock. It is anticipated that the funeral will be a large and representative one. John Maclennan's enclosure and headstone in Garve; the location is much more Highland than the rich farmland he worked in the Black Isle! Photo: Jim Mackay.